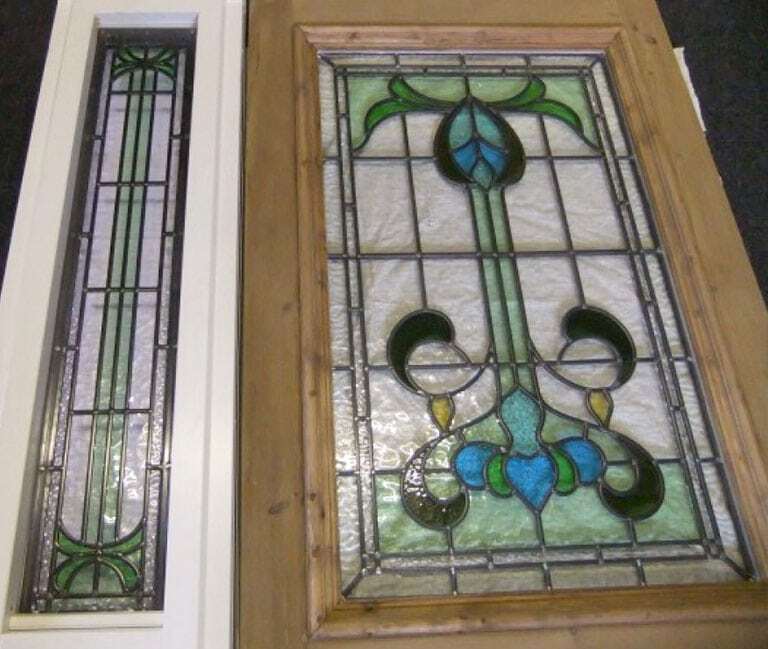 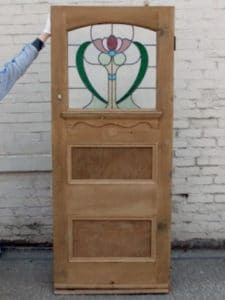 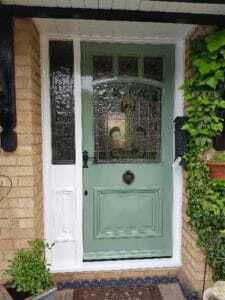 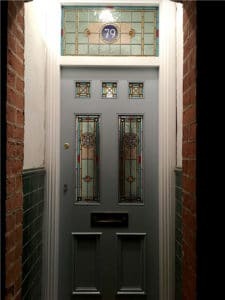 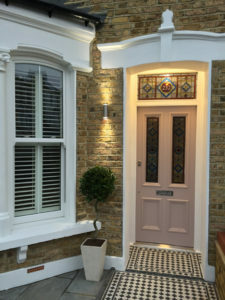 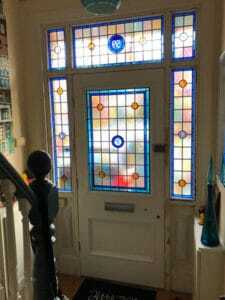 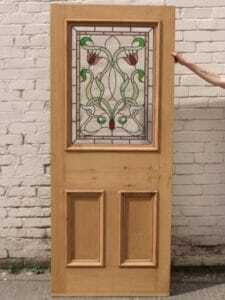 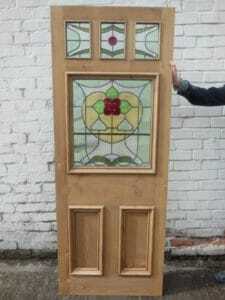 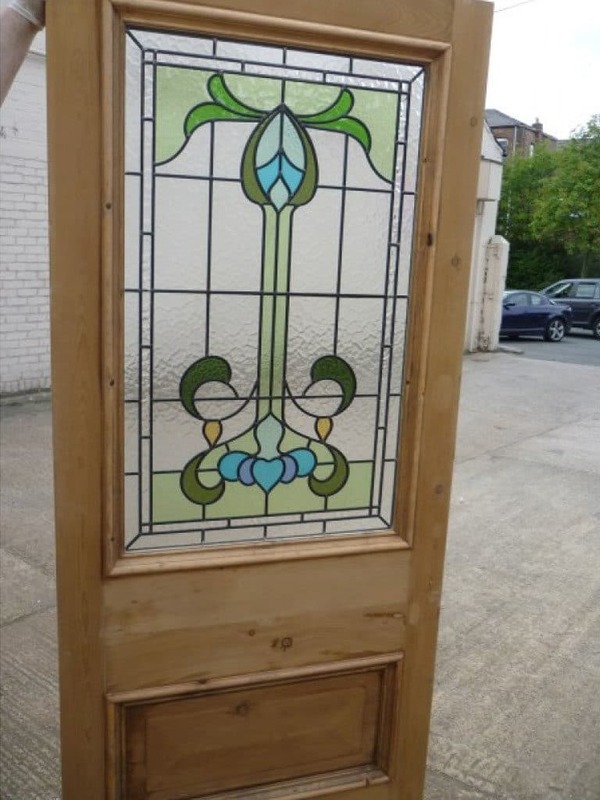 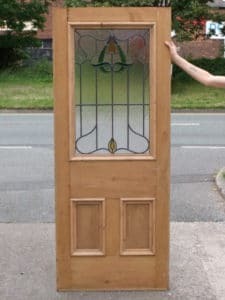 This Victorian to Edwardian original stained glass exterior door was stripped of all paint and then fully renovated by our team. 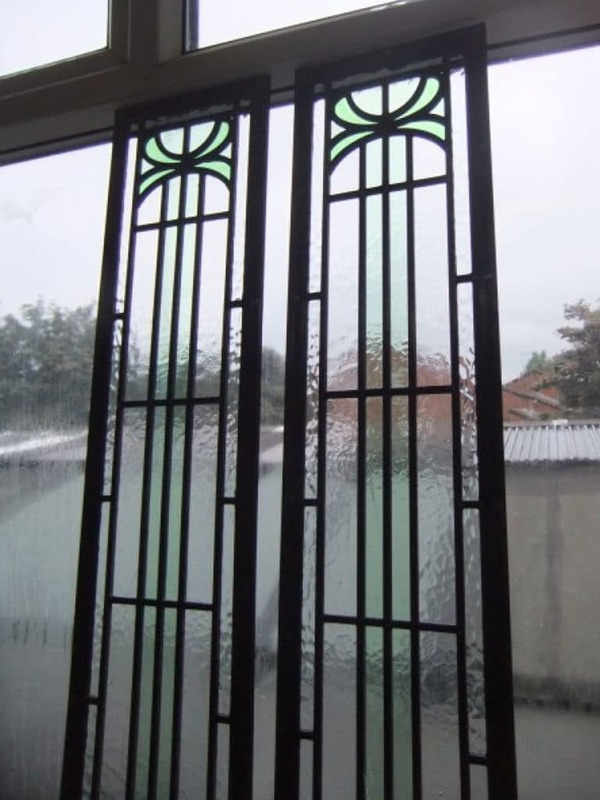 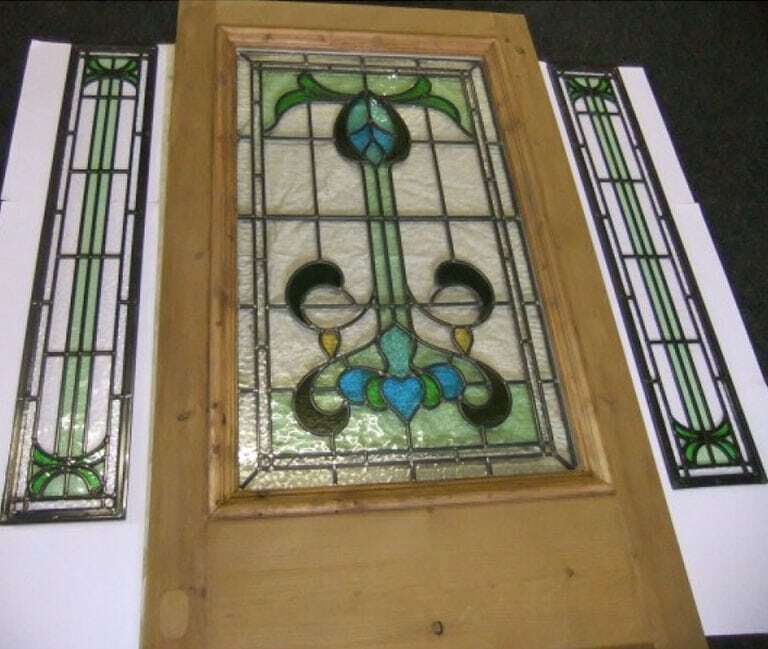 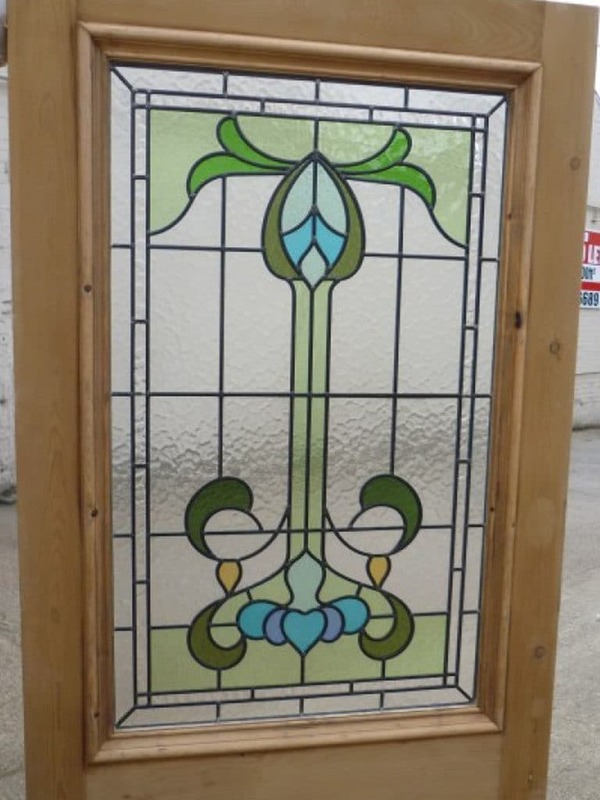 We also supplied fully bespoke stained glass panels which were based on an original design. 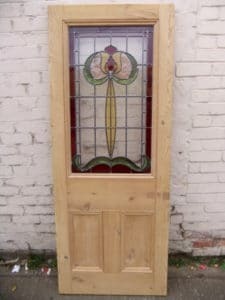 We also supplied side-panels with a new door frame.